The 2019 theme of The Church of Pentecost is: “I Will Build My Church” taken from Matthew 16:18; Titus 2:13-14. It was unveiled by the Chairman of the Church, Apostle Eric Nyamekye, at the 2018 November Heads’ Meeting underway at the Pentecost Convention Centre (PCC), at Gomoa Fetteh on Wednesday. Next year’s theme, according to the Chairman, is the first part of Vision 2023, with the overarching theme, “Possessing the Nations: Equipping the Church to transform every sphere of society with values and principles of the Kingdom of God.” The five-year strategic vision of the Church was unveiled on Monday, November 12, 2018. “This theme is to help awaken Ministers, local leaders and the entire church towards freshness in our worship life and to march out in the power of the Holy Spirit to possess the nations with the values and principles of the Kingdom of God,” he stressed. He explained that everything depends on the Christians’ ability to understand the Church as it ought to be, on their willingness to change where necessary, and their determination to keep their lives continually opened to spiritual freshness. The energy then derived, he noted, could help believers to do more for the Kingdom of God, saying, “…the transformation of the society cannot take place without the transformation of the Church,” this is because society will listen to the testimony of a credible Church, a Church living out the values and the principles of Christ. 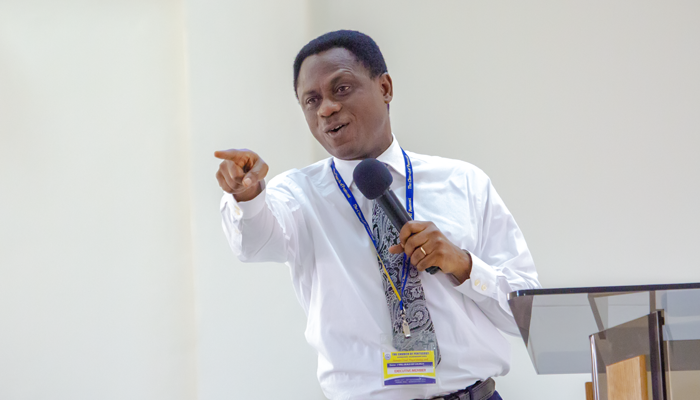 According to Apostle Nyamekye, The Church of Pentecost both nationally and internationally has become a respected institution following the great work done by the founding fathers and the great leaders it has had over the years.